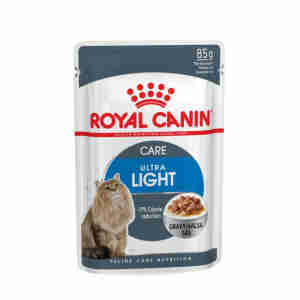 Royal Canin Ultra Light in Gravy and Jelly helps reduce the calorie intake of cats by as much as 19% to reduce weight gain and maintain a healthy weight. The complex blend includes nutrients that are also enriched with L-Carnitine to help support and stimulate a healthy and fast-acting metabolism. This recipe it makes it is easier to ensure your cat is at optimum weight for its age as it is tailored to its specific requirements. The high protein recipe contributes to maintain a healthy muscle mass and keeps fat levels at an optimum level. 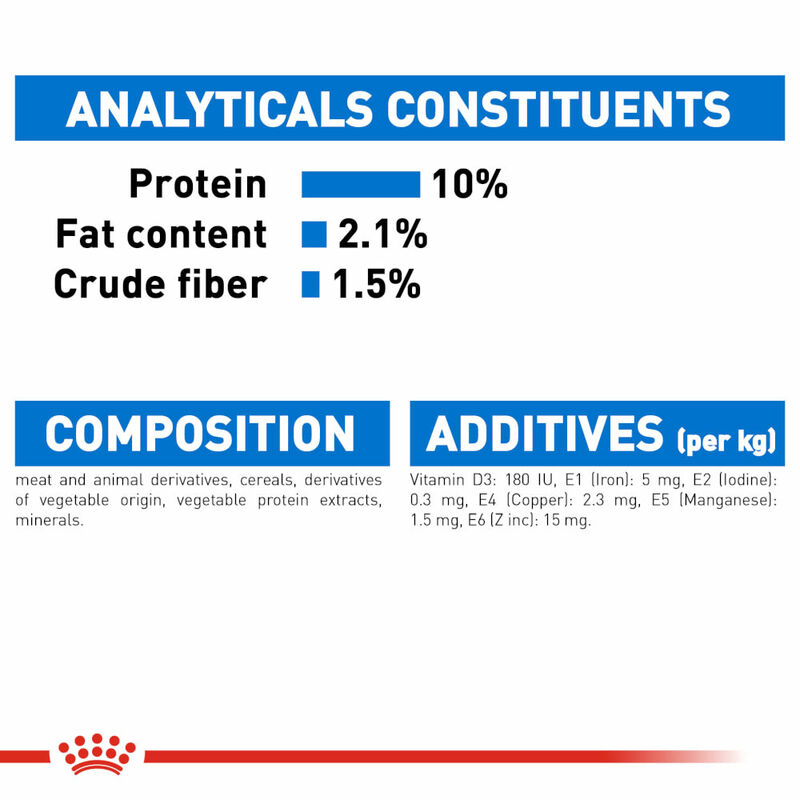 There is a high protein content to contribute to muscle mass, without compromising the calorie reduction needed to limit weight gain – resulting in a lean, healthy body type for your cat. Additionally, the nutrients in this product support a healthy urinary system for healthy bladder function maintenance. To cater for the fussiest cats why not try and mix wet with the dry food, however do follow feeding guidelines laid out by Royal Canin.